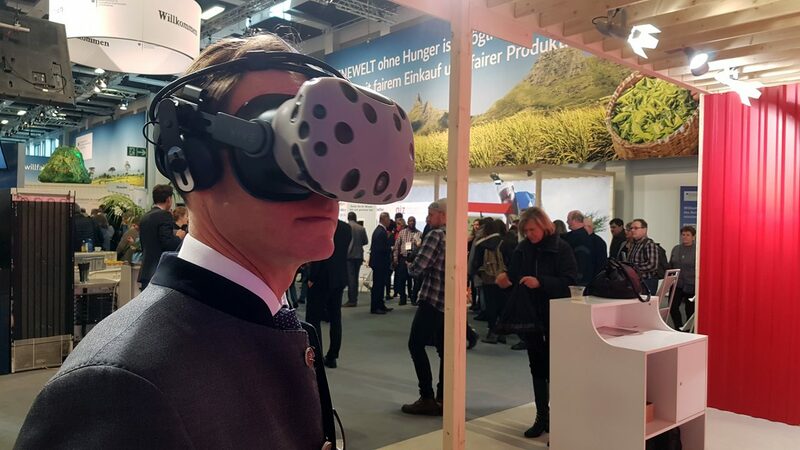 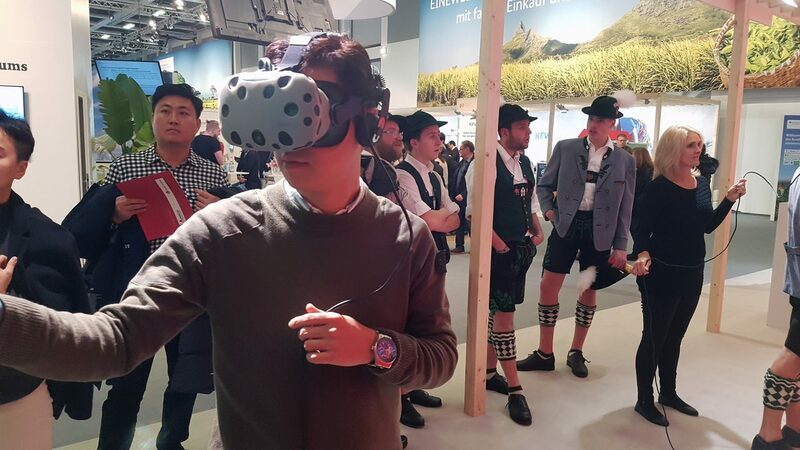 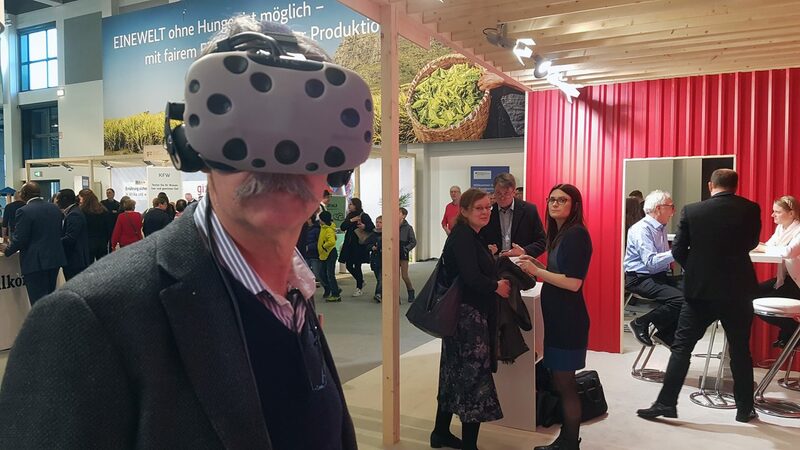 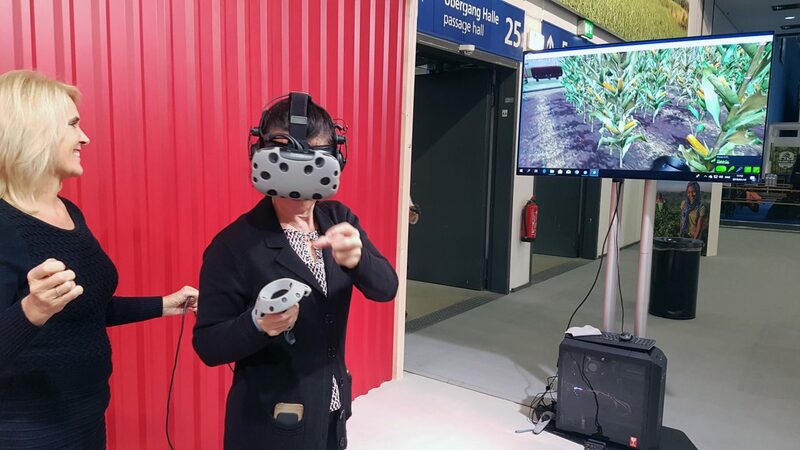 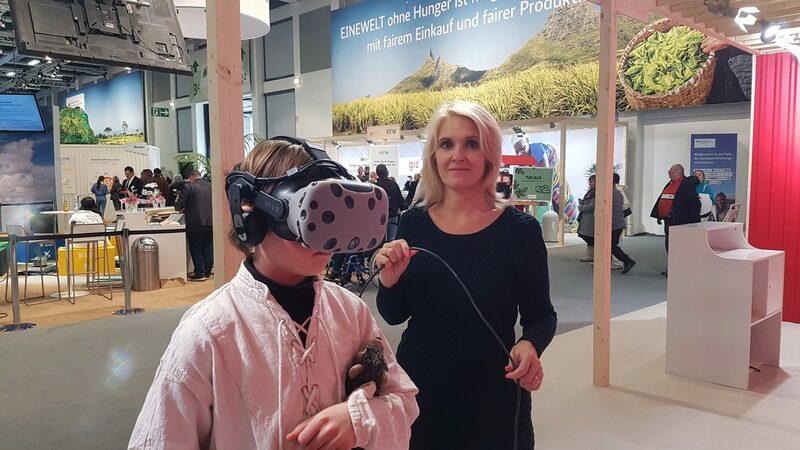 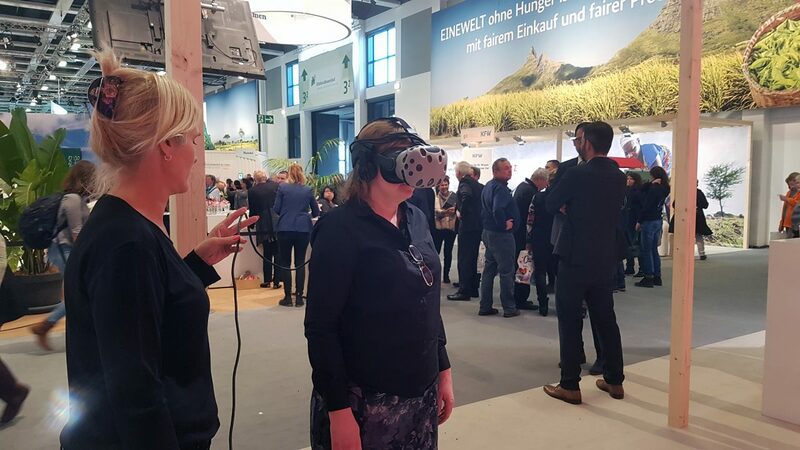 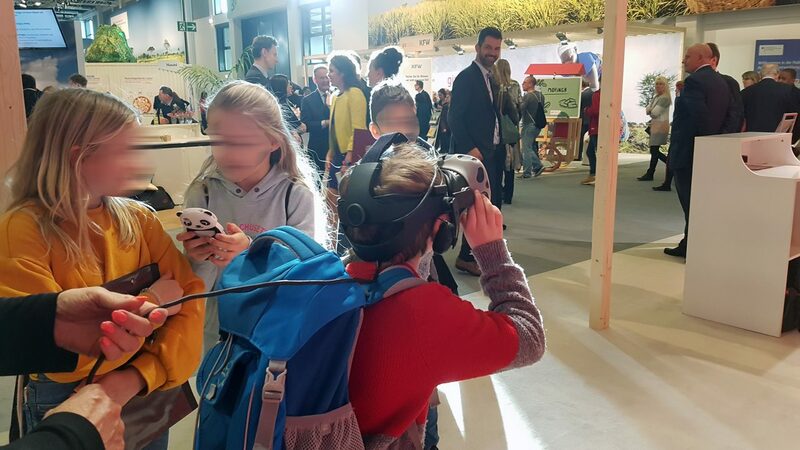 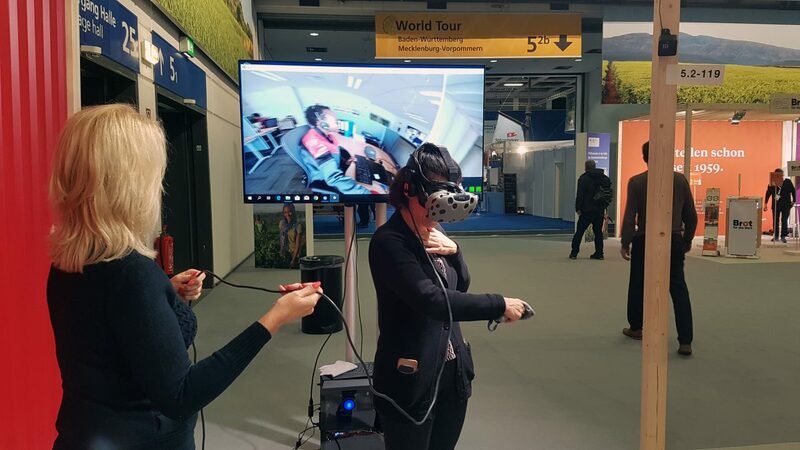 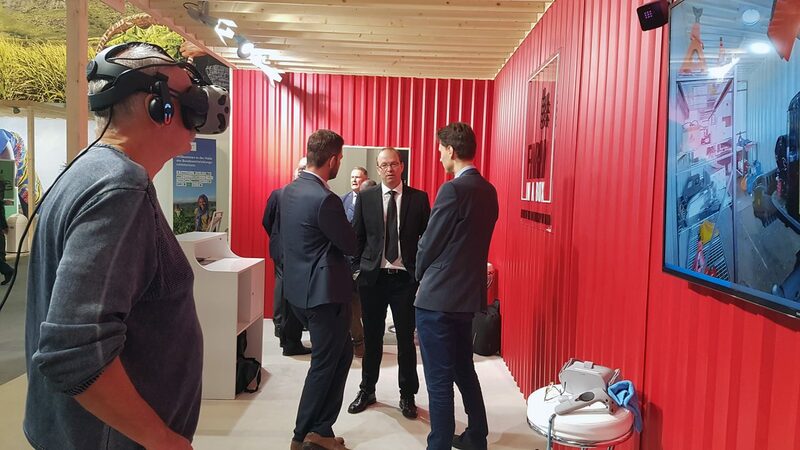 This year started very busy for us, late last year 2018 we were contracted by AGCO South Africa to create a virtual reality experience for Farm in a box which they wanted to showcase in Germany at Messe Berlin at the Green Week 2019 exhibition. 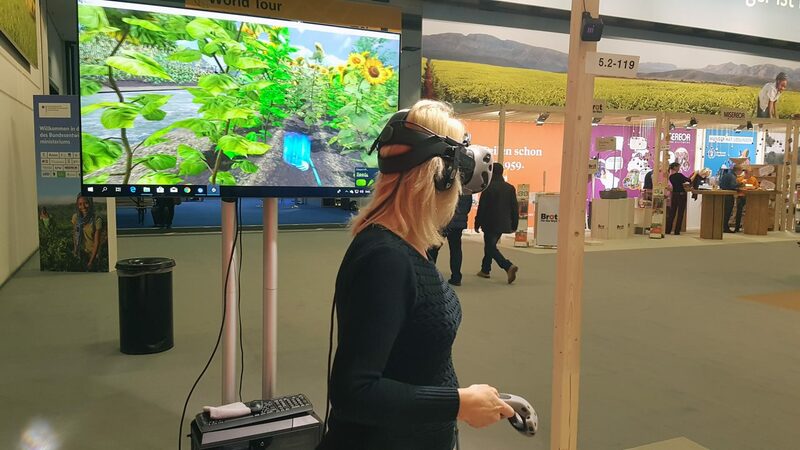 We developed a custom virtual reality experience for them showcasing what farm in a box is. 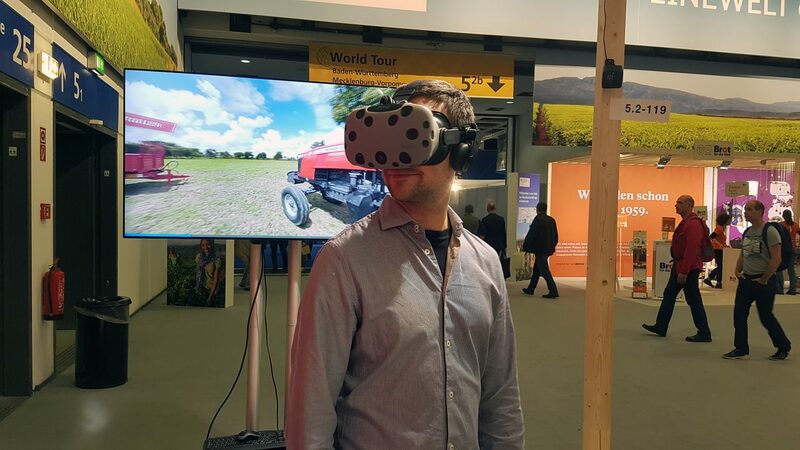 The experience was developed for High-End virtual reality specifically for the HTC VIVE Virtual Reality headset allowing people to walk inside the virtual reality experience and to allow then to interact with Tractors, implements and tools from the farm. 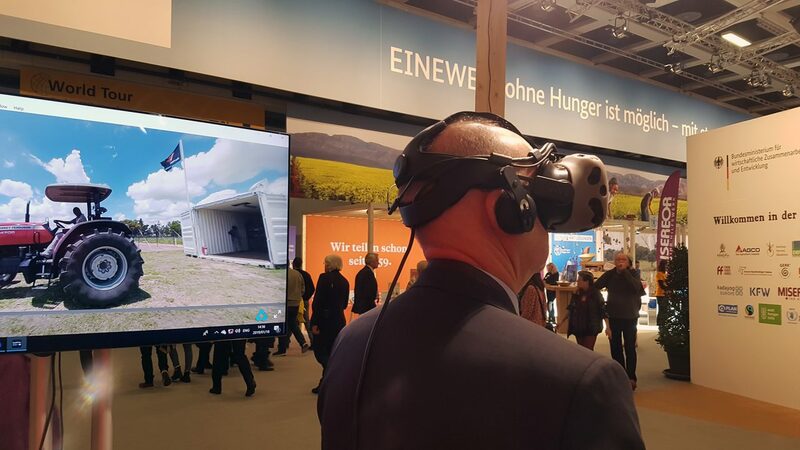 Above is a screenshot of the Farm in a Box virtual reality experience. 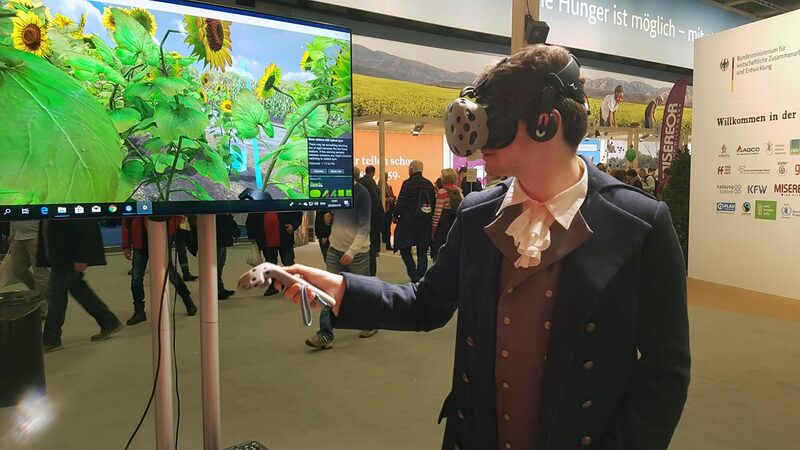 The screenshot shows what a Farm could potentially look like once it is fully developed. 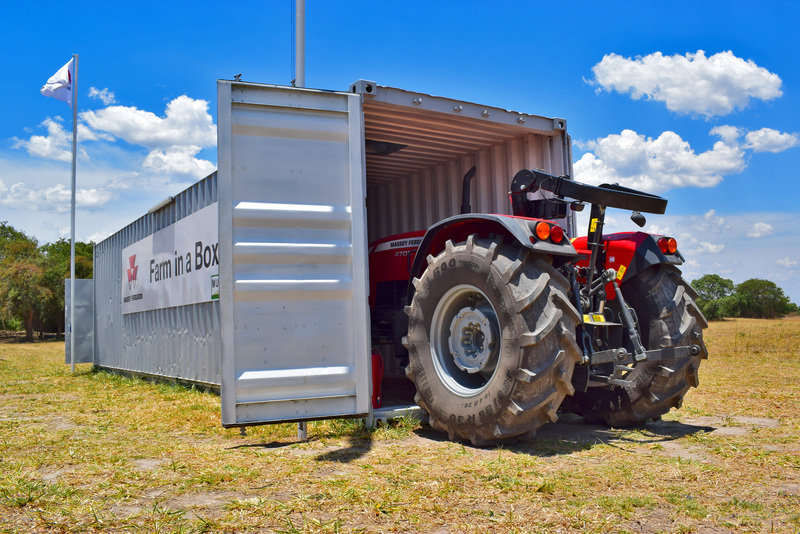 The container houses a small office for the farmer and also spare parts, a generator, work bench tools and other implements and tools that a farmer needs to start a successful farm. 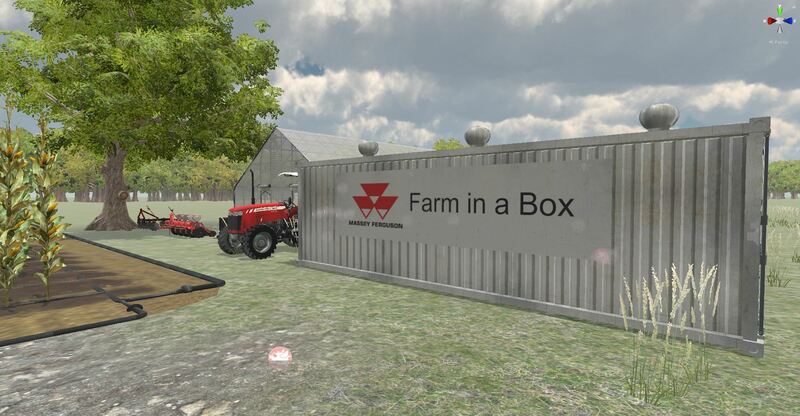 Above you can see some of the implements and the Massey Ferguson tractor that we have modeled from scratch to form part of the Farm in the Box concept. 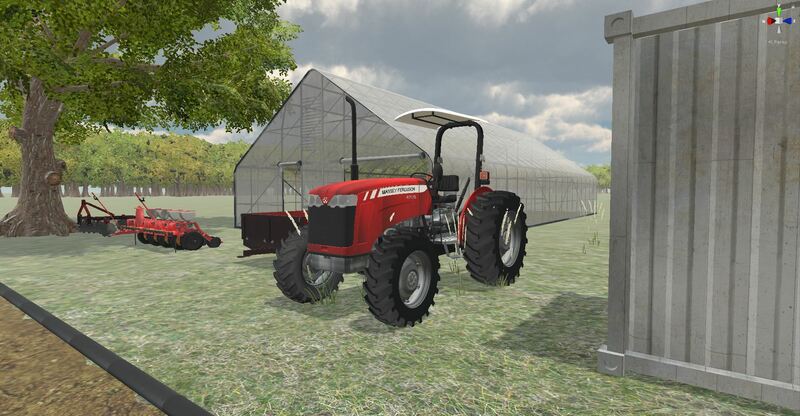 The Massey Ferguson tractor was modeled on the 4708 Massey Ferguson tractor that comes with the Farm in a Box concept and was exactly modeled on the actual tractor. 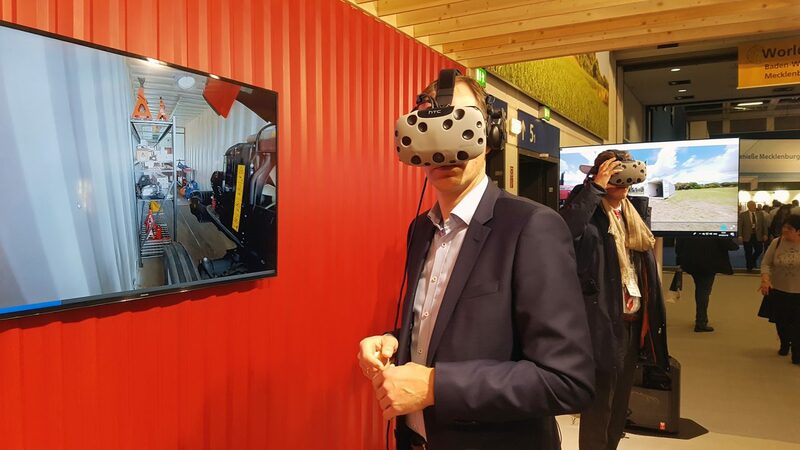 We created the complete experience in 14 days. 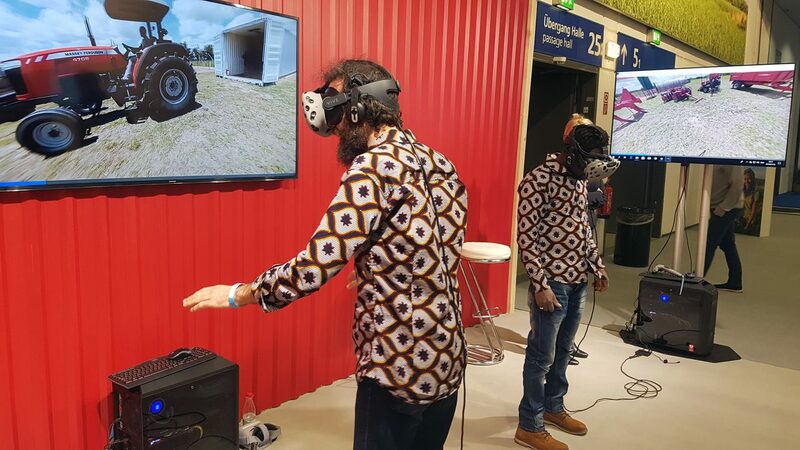 We modeled the experience from actual photographs, to have the same look and feel as the real farm in Zambia. 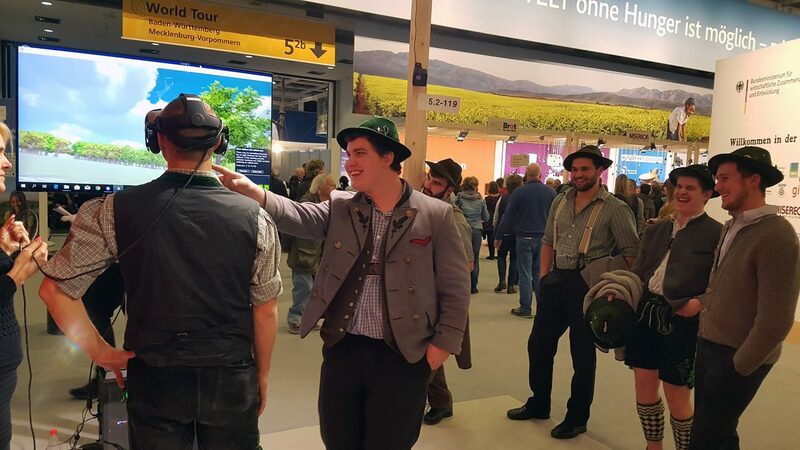 Below is some of the photographs that we have worked from. 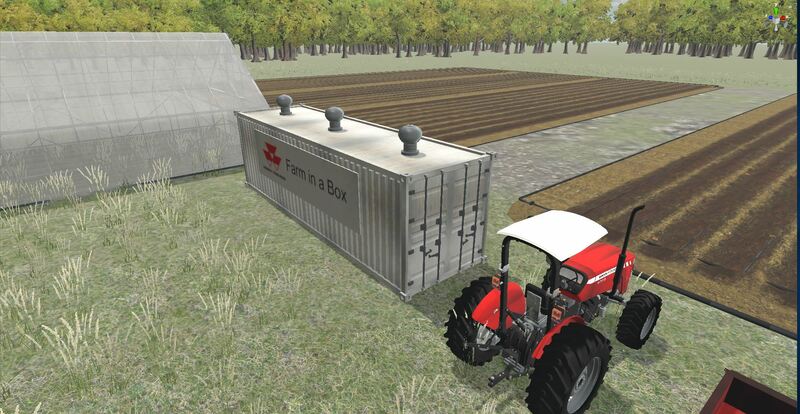 Real Farm in a Box container and Massey Ferguson 4708 tractor. 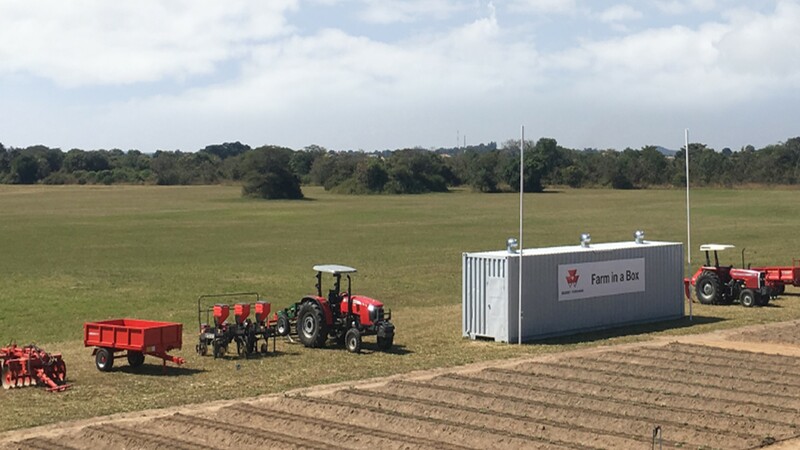 The actual farm in Zambia where the Farm in a Box concept was developed. 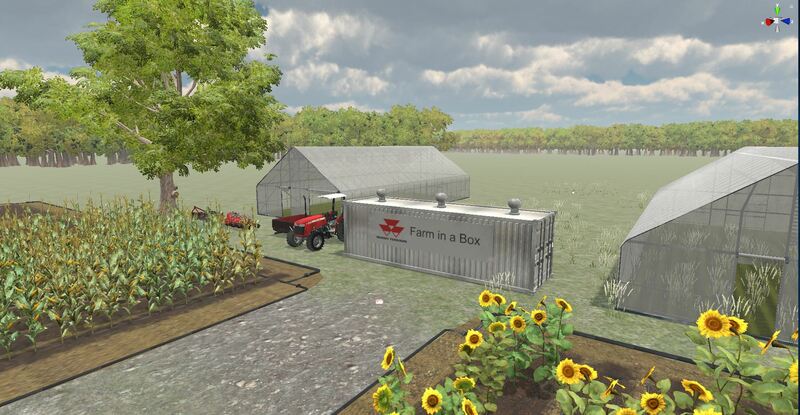 Rendered and recreated 3d models of the Farm in a Box concept. 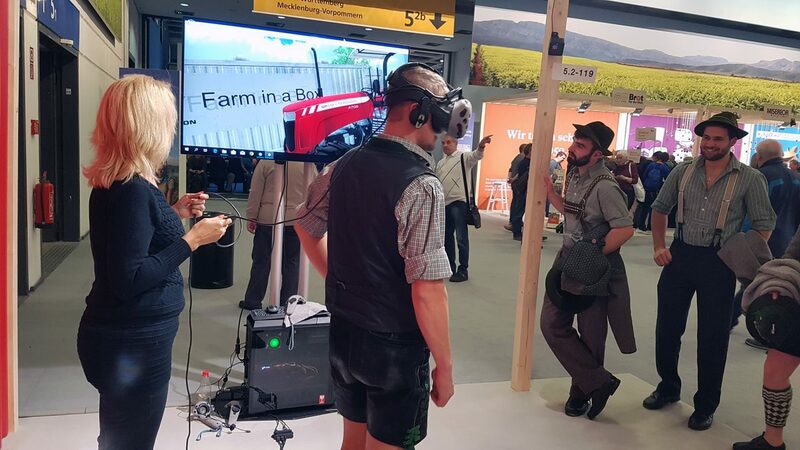 When in Virtual Reality it looked very real and at the same time similar to the real farm. 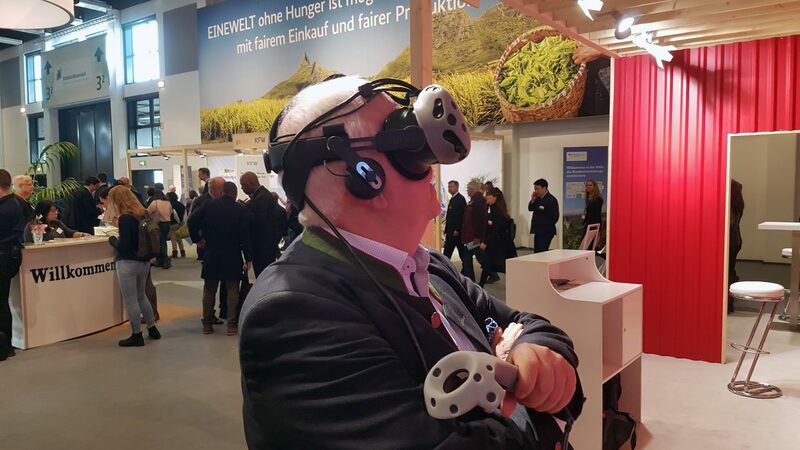 Below is some pictures that we took at Messe Berlin of some of the people who tried the Virtual Reality experience!